I live on the Isle of Wight in the UK, just across the waters of the Solent facing Southampton and Portsmouth, an island the most part of which is recognised as “an area of Outstanding Natural Beauty (AONB). Sea sports, swimming, walking and cycling are the most popular pastimes and twice a year Walk the Wight, and Cycle the Wight draws hundreds of visitors. 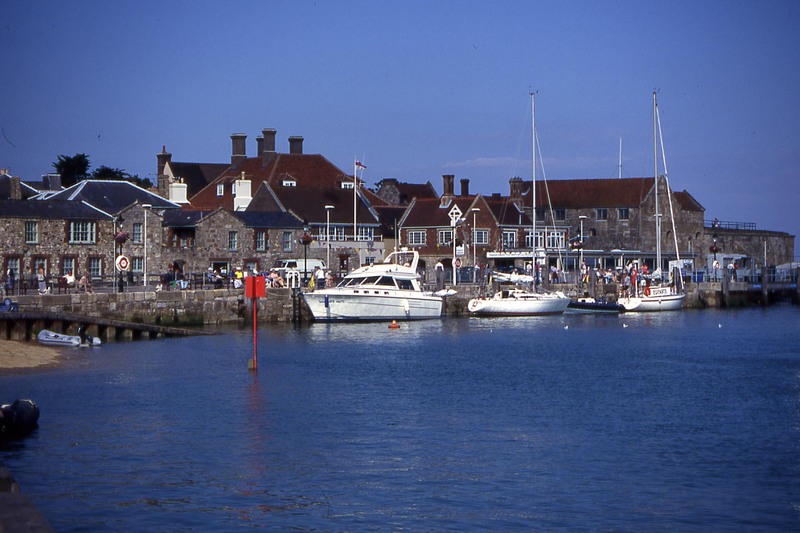 Cowes Week, the famous Regatta which once saw the crowned heads of five nations take part, is a major event in August and if the number of royals in attendance is less than in previous years, the number of royally rich with their super-yachts has increased. 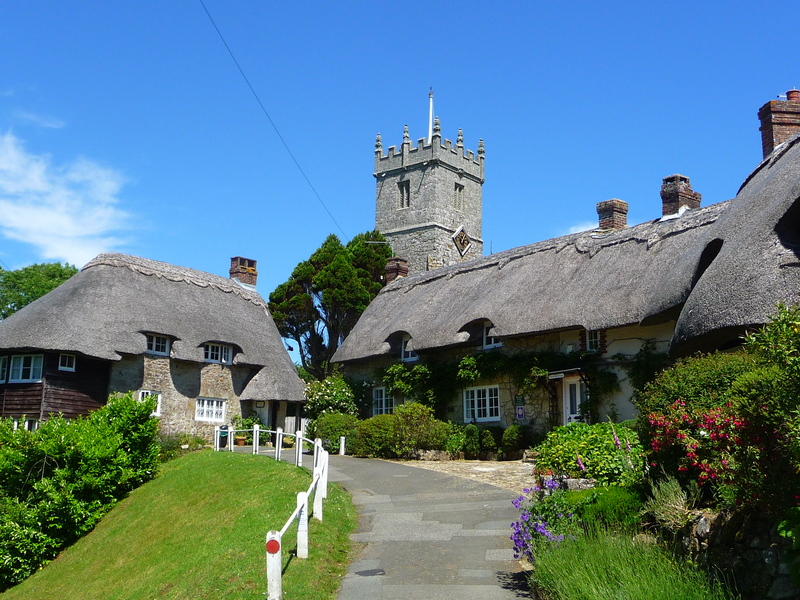 Godshill, Isle of Wight, a famous town near where i live. 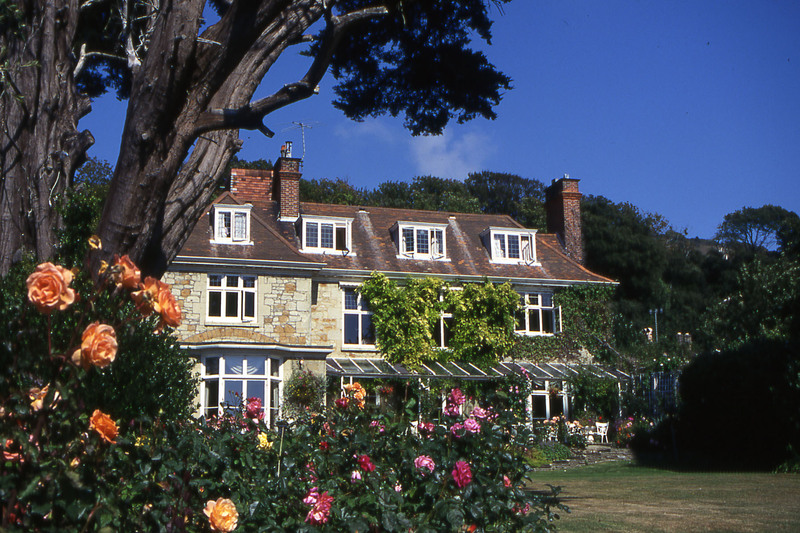 It is a very literary Isle and apart from the number of writers who live here now, the Island was home to many famous authors and poets in the past, including Alfred Lord Tennyson, Charles Dickens, Alfred Noyes, Keats, Longfellow, and J.B. Priestley. Karl Marx, who spent a few years here, wrote in a letter to Freidrich Engels, “This island is a little paradise”. It is even more famous for being the home of Queen Victoria and her consort Alfred, who built a residence here for their growing family away from the stress of London and the Court. Osborne House is now one of the most visited places along the south coast as it remains much as it was in Victoria’s day, a family home full of photographs, knick-knacks, children’s toys and lots of love. Charles Dickens’ former home where he wrote David Copperfield. I am a keen photographer but find that travelling with a DSL and extra lens is now difficult so I travel with the best compact I can afford. My images may lack that “wow” factor but my back feels better! Thailand, Italy and Spain I love passionately and I am fortunate to live in Europe where good transport links and cheap flights make it possible to do long weekends in favourite cities. I hope this blog will be less about me and more about the place. Not all will be serious, humour abounds wherever one goes and there is always time to sit and enjoy wine and tapas (in the cause of research of course) while chatting to another tourist or a local character. My posts are listed under country categories but if your favourite isn’t here it doesn’t mean I haven’t visited, just that I haven’t yet got around to writing about it. There are also Random Jottings and a category dealing with War Poetry, Prose & Battlefields. So join me on my travels and maybe add your comments if you have experiences that mirror mine. My Isle of Wight. Looking towards the white chalk face of Culver Cliffs, Sandown. Yarmouth Harbour, Isle of Wight. I’ve just caught up with this Jo, thanks for that. Interesting and it is a lovely piece of work. I live on the Isle of Wight too! I’m always interested to find posts about our lovely island. Like you, I have travelled a lot, and I like photography. I look forward to seeing more of your lovely photos. Nice to have contact and I love your images. Look forward to seeing more of them. Would love to know what type of camera you use. Traveling to Cambodia at the end of January, and I’m tired of lugging my Canon DSLR. Since ditching my DSLR the camera I mostly use is the Sony Compact System 6000 for which you can buy many different attachable lenses. I was considering what Zoom Lens to buy when a professional photographer suggested I get the little Lumix TZ70 which is a small compact but with a zoom lens of 70 which he assured me was equivalent to any attachable lens I could get, was less weight and less price but,…….always available and ready to shoot. I confess to using it more often than the compact system because of its convenience and the “always there” factor. The Zoom really is terrific and as the Sony has a very good wide angle lens fitted, this sets me up. Sony also makes a small one with the same-size zoom as the Lumix. Originally the comp.sys. was about £550 I think and the little Lumix about £299. They may have come down in price now as they have both been superceded by new models. I’m told the Lumix TZ100 is outstanding. Hi Mari. Your pictures are amazing and your website is very informative. This is an amazing way of showing the world to others. I’m having a fantastic time reading your brilliant picturesque articles. Hi Matilde, nice to get to know you through your articles, and thank you for liking my articles and photographs. I’m really pleased though, as my eyesight is not great and I often have trouble in focusing, so when they turn out OK I’m thrilledl.